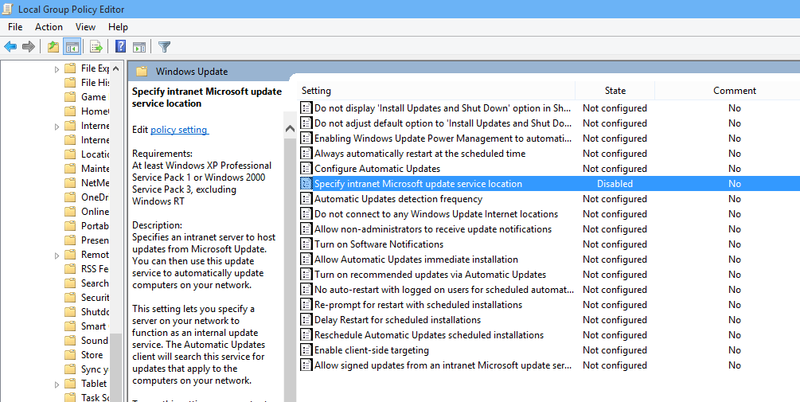 I found that to get Windows Update working, I had to change the policy setting which points my workstation to the configmgr server for updates. The easiest way to do this in a one-off situation like this is to edit the local policy. 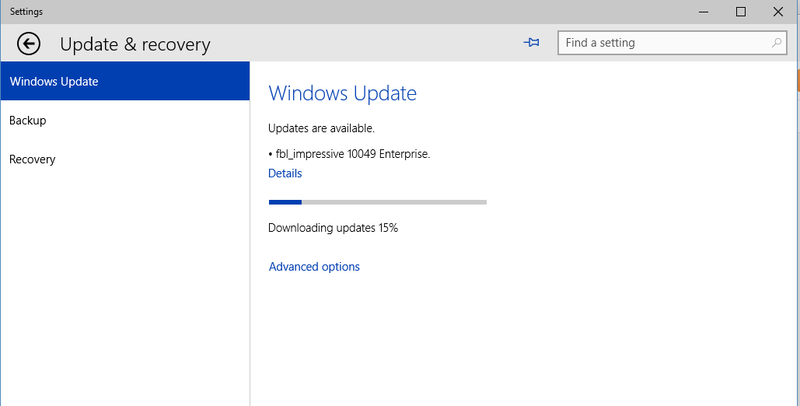 This change will also allow the computer to check for new builds of the Windows 10 Technical preview, including the just released build 10049.